Are you considering adding a screened-in porch to your home or screening in the porch that is already on your home? If you aren’t sure if it’s a logical decision or a smart idea financially, you need to know the many benefits of having a porch enclosure. Knowing these benefits will help you make your decision because you will be able to see why so many people are opting for a screened-in porch design over one that is open to the outdoors completely. Entertain friends and family – Your friends and family can use it as a place to get together and enjoy the outdoors. Have a small get together on your porch and you will be amazed at how much everyone enjoys it. Spend quiet time – If you like to read or nap outdoors, the enclosed porch gives you a way to do that easily. You can spend as much quiet time as you can manage to get on your porch to help you relax and unwind. In fact, it can act as a sleeping porch for you. Safe place for kids to play – If you have kids, letting them play on the porch is great for rainy days and inclement weather. Toddlers enjoy playing on the porch, too, and it may be safer than the backyard at times. Adds value and curb appeal – Most people do not realize that an enclosed porch adds value to their home and also adds wonderful curb appeal. This is very helpful when your home goes on the market. Extra Recreation Space – An enclosed porch is one of the most affordable ways to add space to your house. It allows you and your family to spend quality time together playing games or eating dinner together. There are a lot of different things your family can enjoy together on your enclosed porch, even in a warm summer rain. Enjoy the outdoors without the insects and bugs – Being outdoors is very enjoyable until you start dealing with all of the flying and crawling insects and bugs. Nothing ruins an outdoor party like mosquitoes, bees, gnats, and flies. Having a porch that is enclosed allows you to enjoy the outdoors – bug free. Now that you know the benefits of having a screened porch, you can see why they are popular with so many people. You can now also make a smart decision about this affordable home improvement option. Having an enclosed porch definitely provides you with many enjoyable benefits. 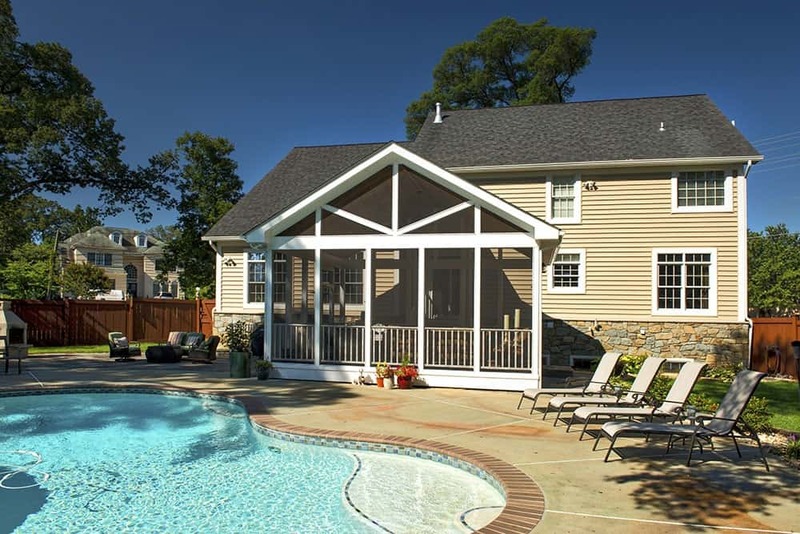 At Rendon Remodeling and Design, we specialize in all aspects of remodeling the exterior or interior of your home, and would be delighted to add a screened-in porch or deck to your home. Contact us for a consultation and get the process started!